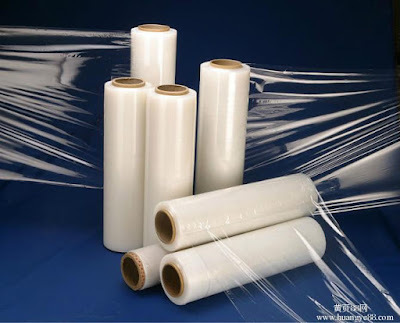 Ezzy Packaging Solutions: why surface protection films are need for the materials? why surface protection films are need for the materials? Surface protection film is a plastic tape , which is very thin and is coated with special pressure sensitive adhesive . This adhesive is not permanent , it is temporary and does not leave any remnant on the surface of the materials on which the surface protection film is used. 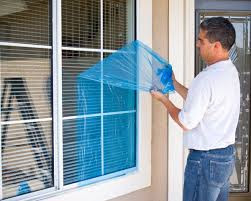 The surface protection film is not left on the material permanently . It is used only temporary to protect the material from scratches , cut , abrasions , moisture , and dirt and dust during installations, transportation , and renovations . The tapes can be used on any kind of materials from electronics to steel and marble to glass items . There are other lot of reason or purposes , which can damage a product, these factors are , painting , polishing , shipping , assembly , storage, installation , sanding , and dry walling. To preserve the value of the different kinds of materials , the surface protection film is used as a guard for pre finished and finished products to retain the value of products , and also its appeal and appearance. Any surface protection tape Suppliers of Surface protection film must have the special qualities , which enables it to be used for the protection proposes . It must adhere initially to the surface of the material . Then it must give protection against moisture's , cuts and stay till it is removed . And finally ,during removal from the surface of the protect , it must come out cleanly without leaving any residual. The clients only has to make sure that they are selecting the right protect for protection of their products . There are different kind of surface protection films in the market , the customers must know the different types and there uses. The adhesive tapes for carpets can also be taken from the market for the protection of carpets during renovations and construction activities . The tape that are adhesive type will have the mark to show the level of thickness of the adhesive . The adhesive type is a important consideration . The textured surfaces need thicker and soft adhesive . The tape has to touch the maximum surface of the material . If the tape is touching only peaks of the material , then it means that only 5 percent of the area is being touched by the adhesive surface tape. The customers also must keep in mind that the stickiness of the surface protection tapes Surface Protection Tape manufacturers in India must be adequate so that the tape sticks to the surface during its life cycle.